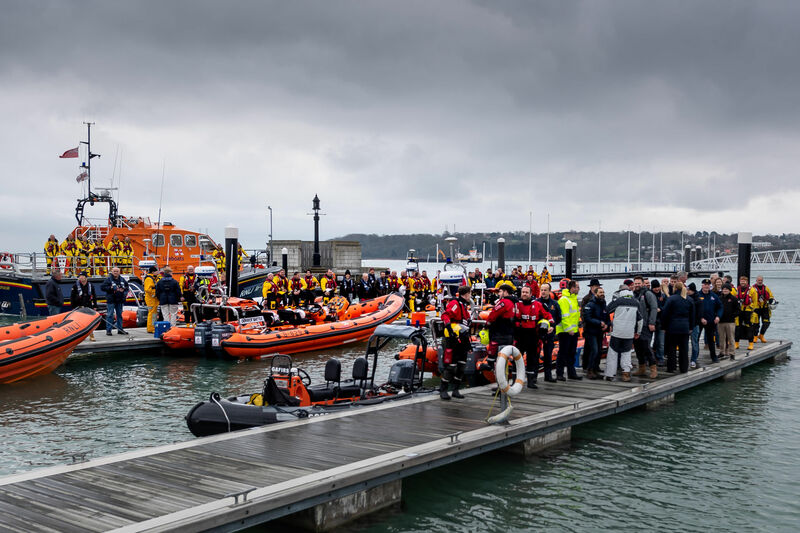 Maritime lifesavers of the Solent area brought their various craft into Cowes Harbour yesterday (Saturday) for another annual lunchtime get-together. 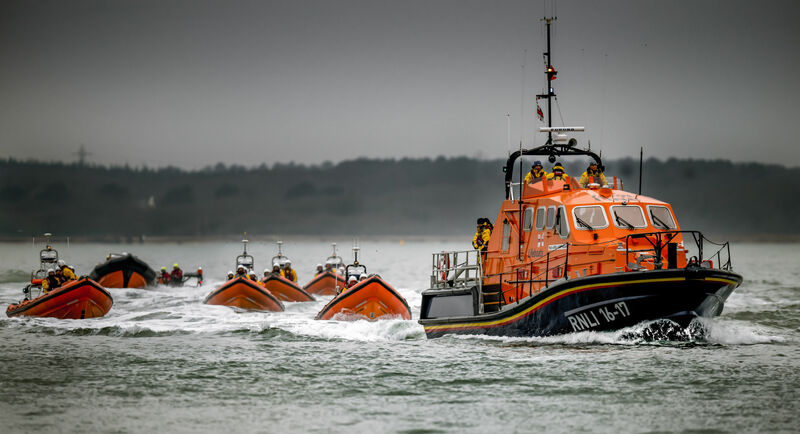 After assembling in the Solent, the lifeboats processed together into the Royal Yacht Squadron marina, quickly turning the area into a riot of orange and yellow. 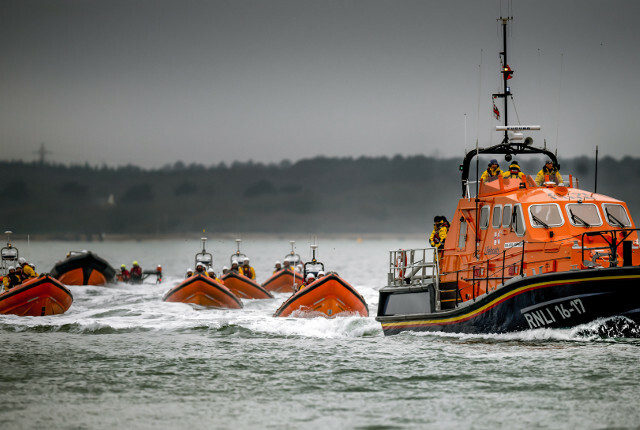 Leading the fleet was the Tamar class lifeboat from Bembridge, followed by inshore craft from various other stations, both RNLI and independent. The crews then made their way to the nearby Globe Hotel, where they were joined by representatives of lifeboat stations who had travelled by car. The gathering also comprised representatives of the National Maritime and Coastguard Centre at Fareham and Island Coastguard rescue teams. “Although this was an informal meeting, it also provided an opportunity to discuss how best to work together in the coming year. To this end a number of joint exercises and initiatives have been agreed. As well as the Bembridge and Cowes lifeboats, the marina line-up included craft from Hayling Island, Portsmouth, Calshot, Lymington, Gosport and Ryde. Members of the Freshwater and Sandown stations came by road, but absent altogether were members Yarmouth all-weather lifeboat.